No Corners for your quilt, drapery, or dress to catch on!!!! 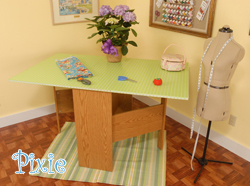 Free Instruction with Every Sewing Machine Sold! 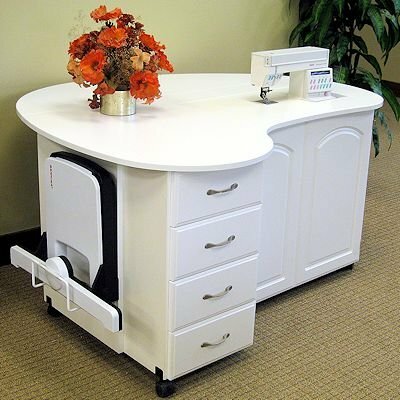 Special discounts on select models including all Fashion Cabinets of America, Arrow, and Kangaroo cabinets and cutting tables. 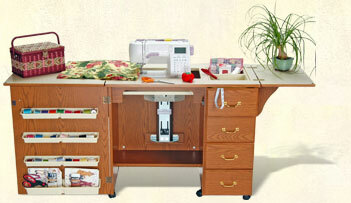 Having the right equipment is just the beginning of having fun sewing. 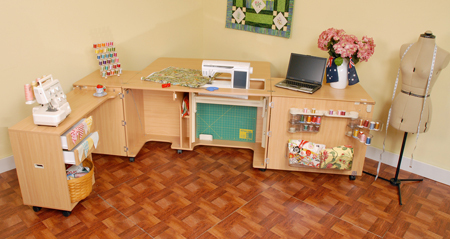 Space organizing experts talk about "landscaping" your sewing room to make it effortless to fulfill your sewing dreams. We embrace that concept. 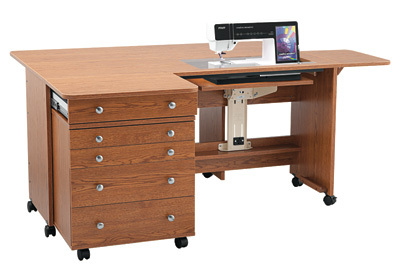 Let Grant House Sewing Machines help you organize the best layout to maximize your investment and ensure your creative urges are realized! 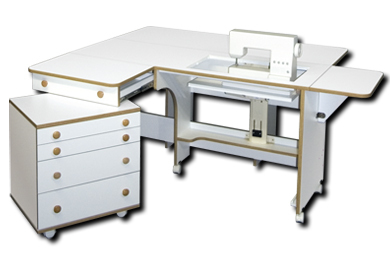 Many of the new top of the line sewing machines are larger than the old ones. 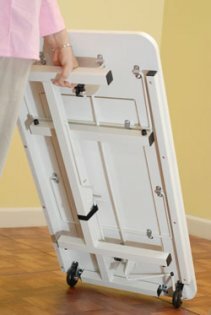 If you have purchased a new sewing machine that does not fit in your existing cabinet, we have the special lift kits you need. 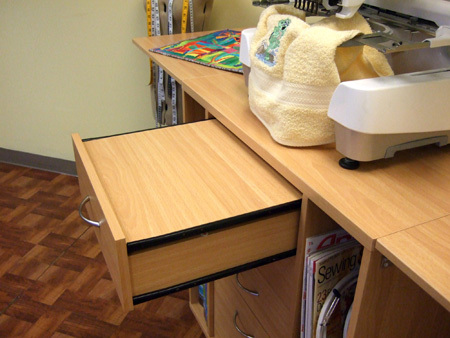 We work directly with local resources that do a beautiful job of converting your cherished old furniture.